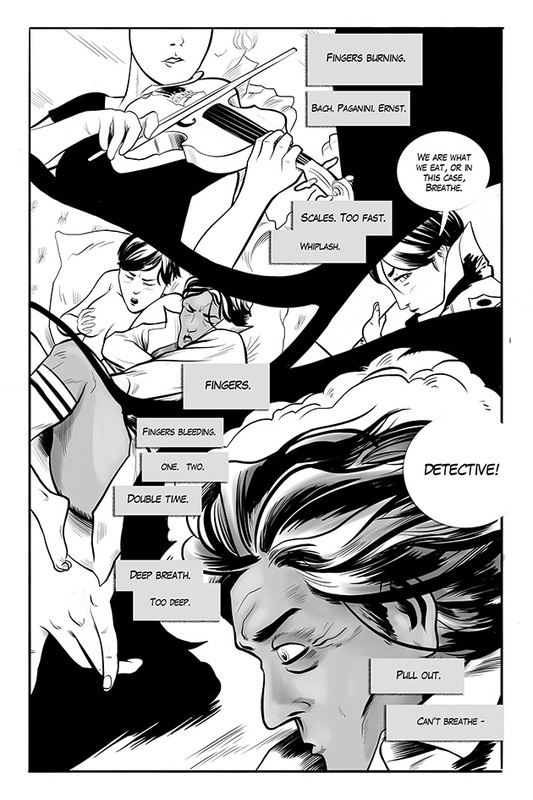 If you live in the Philippines and are heading to Summer Komikon this weekend, at the Bayanihan Center in Mandaluyong, do drop by the Indie Tiangge and give Benjamin Bartolome's Deceptive Detective a try. 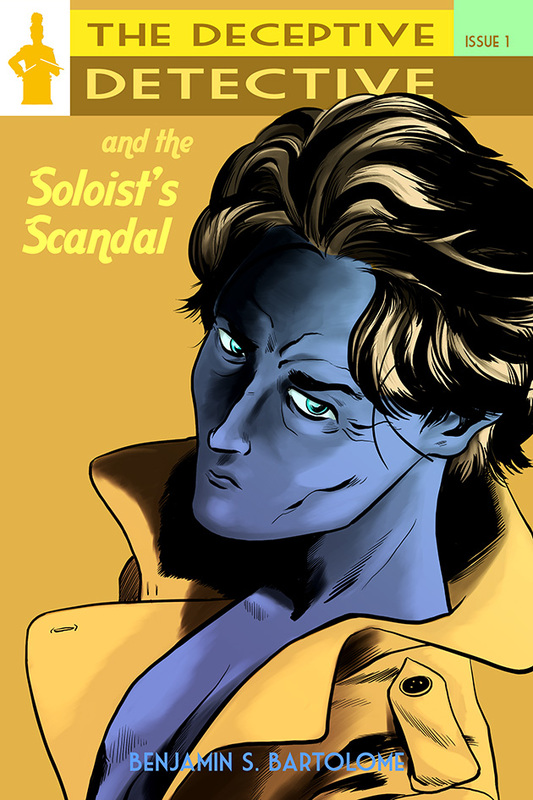 The first issue, The Soloist's Scandal, deals with a violinist dealing with the problem of her private life being made public. 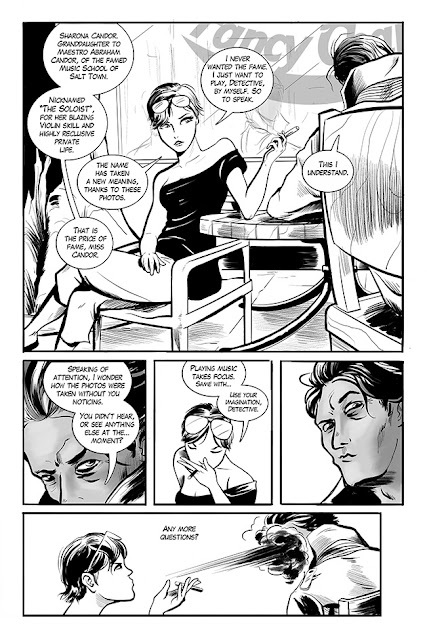 Her solution? Hire the Deceptive Detective, a blue-skinned private eye who wears a trenchcoat and... not much else. 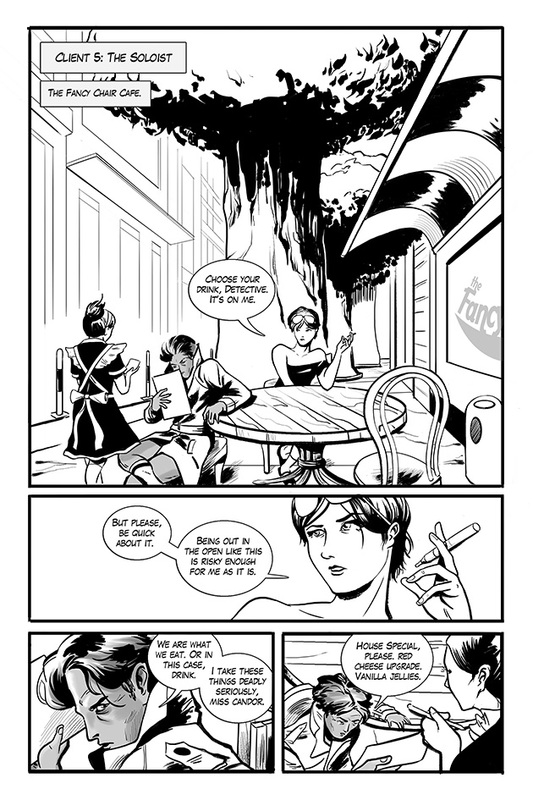 Here are some preview pages. Summer Komikon is held at the Bayanihan Center at the Unilab Compound on Pioneer Street in Mandaluyong City. To get there, simply ride the MRT to Boni, get off at the Pioneer side, and then take a tricycle to the venue. 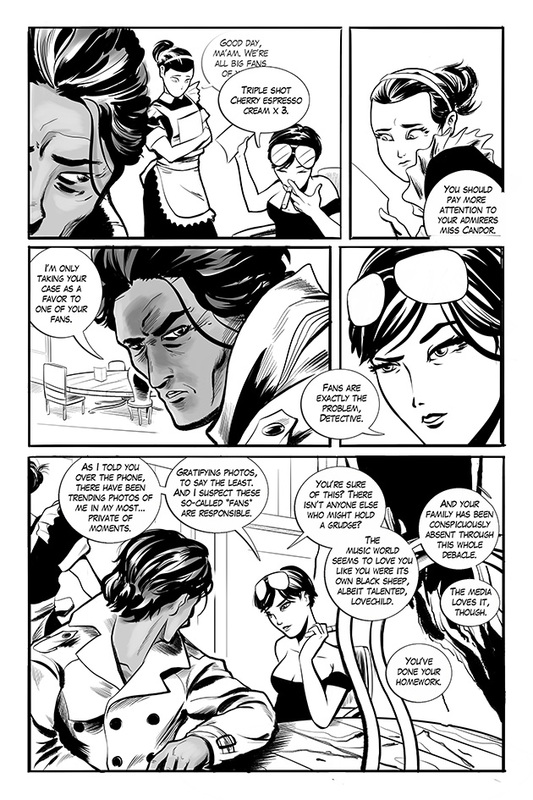 Benj Bartolome will be selling copies of The Deceptive Detective and the Soloist's Scandal at the Indie Tiangge (Table D2) along with other komiks and goodies, and will be with his team, Happy Lockjaw.